The division of Environmental Services monitors mosquito proliferation in Haltom City. Tarrant County has additional information available online here, including an interactive map that shows mosquito trap locations and where positive West Nile Virus mosquito samples are found. Haltom City Environmental Services created a PowerPoint (converted to PDF here) that explains the history, life cycle and preventative measures of West Nile Virus carrying mosquitoes. A great, interactive website assists you in spotting potential mosquito-breeding spots around your house can be found here. More information is also available at the CDC website. Encephalitis is an inflammation of the brain that can be caused by viruses. Symptoms of encephalitis can range from mild to severe. Symptoms include rapid onset of severe headaches, high fever, and mental disturbances such as confusion, irritability, tremors, stupor and coma. Severe cases sometimes end in death or with survivors suffering permanent loss of limb function, reduction of intelligence and/or emotional instability. Not all types of encephalitis viruses are carried by mosquitoes. However, mosquitoes carry at least two types of encephalitis viruses that cause human disease in Texas. West Nile and St. Louis encephalitis are normally an infection of wild birds but can be passed to other mammals by mosquitoes; in humans both viruses affect mainly individuals over 50 years old or those with weakened immune systems. Mosquitoes can also infect dogs with heartworm. The worms live in the heart and can severely weaken or kill the dog. Although difficult to treat, this disease is easily prevented by medication that can be prescribed by your veterinarian. All three of the viruses mentioned above are transmitted by a species of Culex mosquito. Culex mosquitoes, which breed in places like ditches, open septic systems, discarded tires, unused pools, and other assorted containers, particularly in shady areas. Mosquito larvae or "wrigglers" must live in still water for five or more days to complete their growth before changing into adult biting mosquitoes capable of transmitting disease. Often, the number of mosquitoes in an area can be reduced by removing sources of standing water. Hundreds of mosquitoes can come from a single discarded tire and thousands from an untreated swimming pool. West Nile virus is a mosquito-borne virus that can infect humans, birds, horses and other mammals. In most humans, West Nile virus infection causes a mild or moderate, short-lived flu-like illness, or causes no symptoms at all. However in some cases, particularly among persons 50 years of age and older, it can cause serious neurological diseases such as encephalitis, meningitis, or paralysis. West Nile virus first appeared in North America in New York City in 1999. Since then, the virus has spread across the continental United States. Visit www.cdc.gov for more information on West Nile virus nationally. What can be done to prevent West Nile Virus? Most people who are infected with West Nile virus either have no symptoms (80%) or experience a mild or moderate illness with symptoms such as fever, headache, fatigue, or body aches before fully recovering. It is estimated that 20% of people who become infected with WNV will develop West Nile Fever. Of these, 1/150 persons may develop the more serious neuroinvasive West Nile. Some persons may also develop a rash or swollen lymph glands. In some individuals, particularly persons 50 years of age and older, West Nile virus can cause serious disease that affects the brain and spinal tissue. Severe illness may include encephalitis (inflammation of the brain), meningitis (inflammation of the membrane around the brain and spinal cord), or acute flaccid paralysis (a polio-like syndrome in which muscles become very weak or paralyzed). Symptoms of more severe disease may include headache, high fever, stiff neck, nausea and vomiting, confusion, coma, tremors, convulsions, muscle weakness and/or paralysis. At its most serious, West Nile virus can cause permanent neurological damage and death. Among those people who need to be hospitalized for West Nile virus, 10-15% die of their illness. 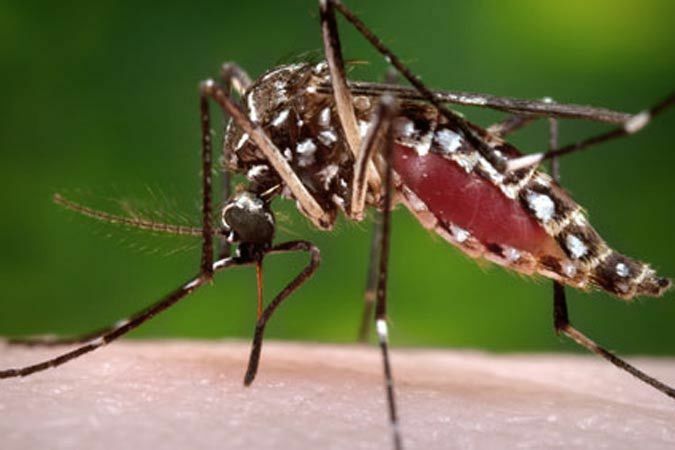 People who do develop symptoms normally become ill 3-15 days following the bite of an infected mosquito. There is no specific treatment for West Nile virus. Most people who become infected will get better on their own. In more severe cases, intensive supportive therapy is indicated, i.e., hospitalization, intravenous (IV) fluids and nutrition, airway management, ventilator support if needed, prevention of secondary infections and proper nursing care. Who is most at risk for getting severe West Nile virus disease from being bitten by an infected mosquito? Immunocompromised persons, such as persons who have received organ transplants. How long does it take to get sick if bitten by an infected mosquito? Most people who are infected with West Nile virus have no symptoms or experience only mild illness. If illness does occur, symptoms generally appear between 3 to 15 days of being bitten by an infected mosquito. The City of Haltom City relies upon surveillance, both by residents and City crews, to identify and eliminate any standing water which could serve as a breeding place for mosquitoes and larvae. Typically larvae will thrive in still, shallow water less than 15 inches deep. Bird baths, pet bowls, wading pools, tire swings or any similar receptacle with standing water can serve as a breeding place for mosquitoes. Download PDF file detailing the West Nile Virus and what Tarrant County and Haltom City are doing to monitor and educate people about it. Transmission of the mosquito-borne Zika virus has become established in Mexico, the Caribbean and several countries in South and Central America. At this time, Texas has reported a very small number of imported cases, including here in Tarrant County. Tarrant County Public Health continues to monitor and has also established a Zika Hotline: 817-248-6299. Arbovirus infections, including those caused by Zika virus, are reportable to Tarrant County Public Health at 817-321-5350. More information about Zika virus information and how to minimize you risk can be found at the Tarrant County Zika information website.